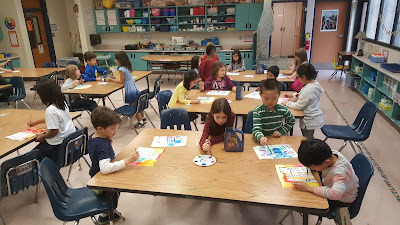 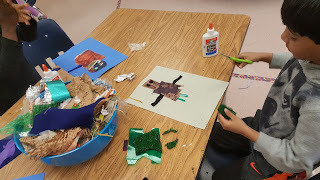 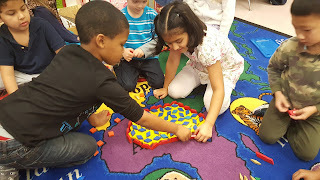 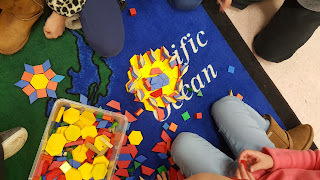 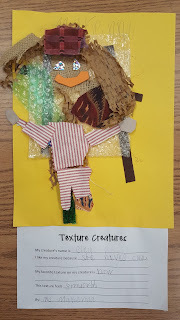 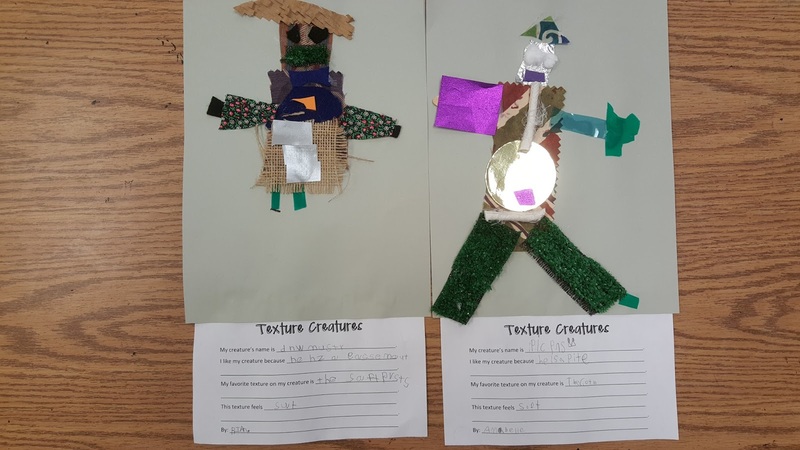 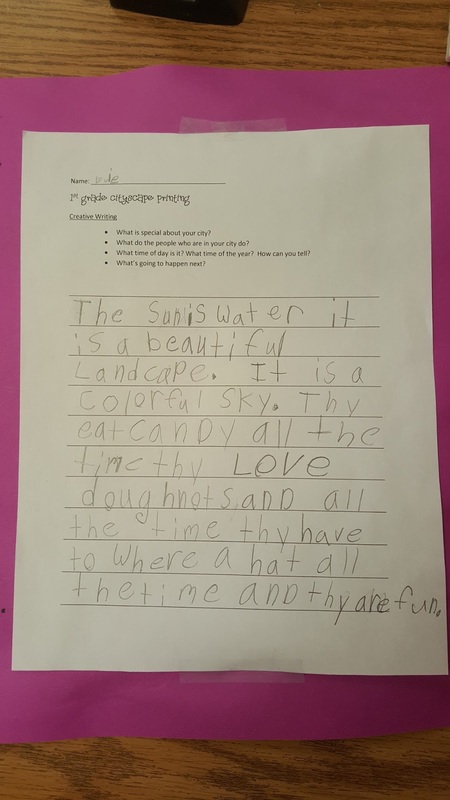 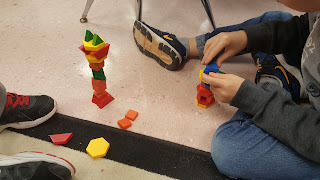 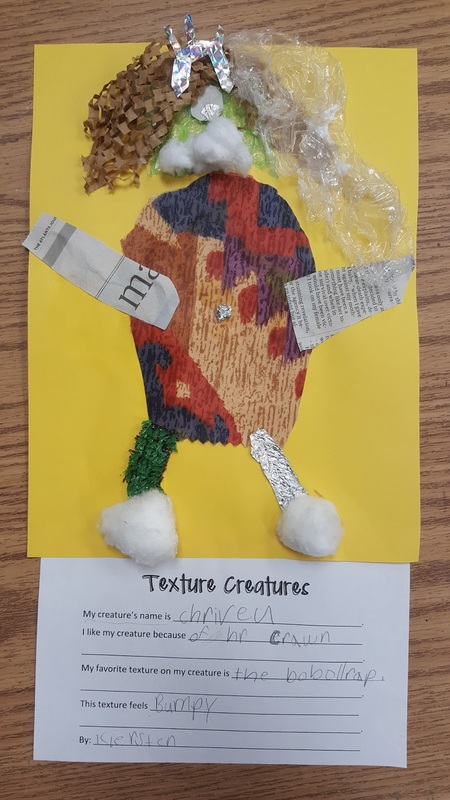 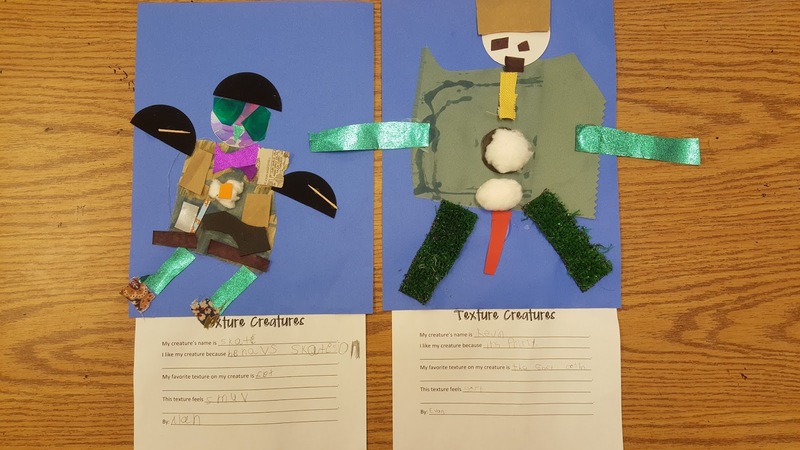 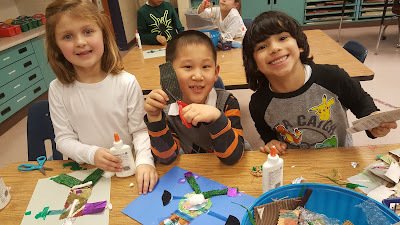 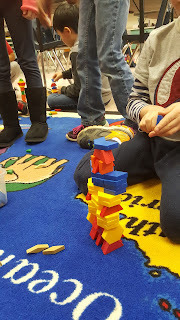 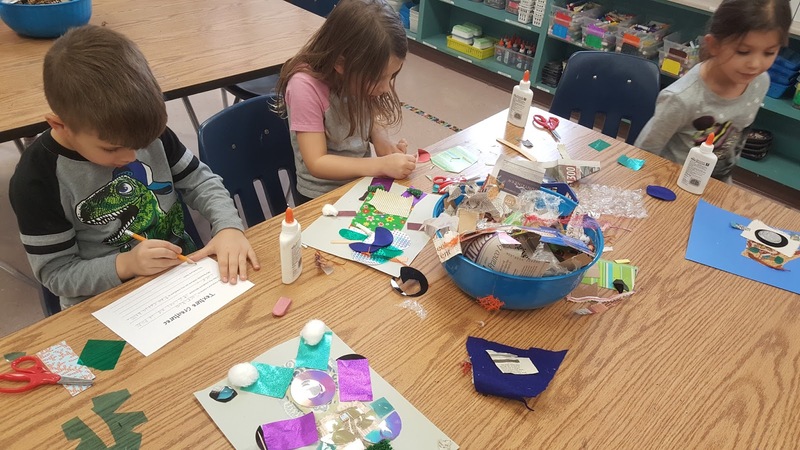 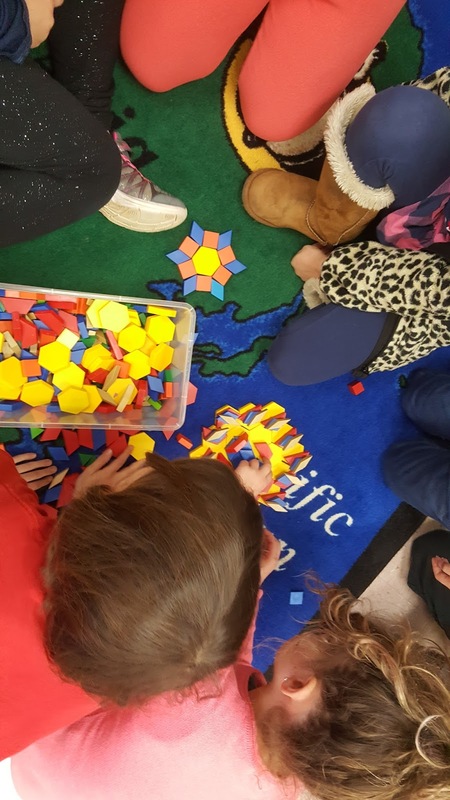 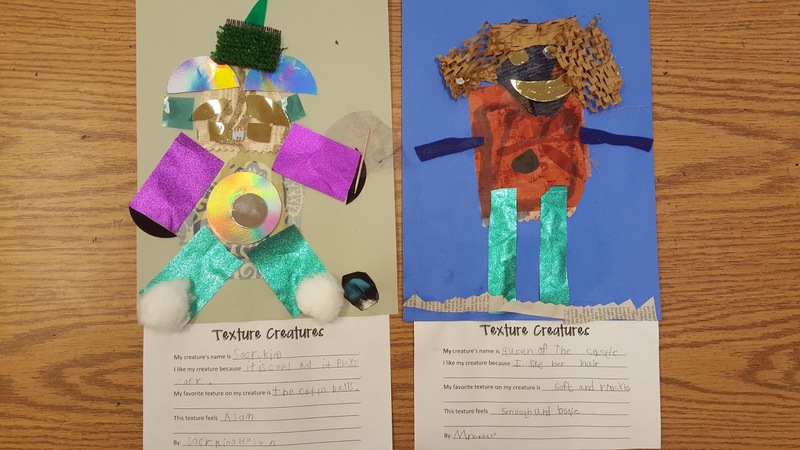 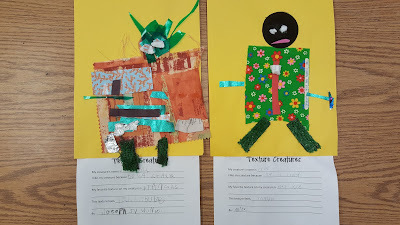 The Kindergarteners learned about actual and visual texture while exploring the depths of their creativity. I love these texture monsters! 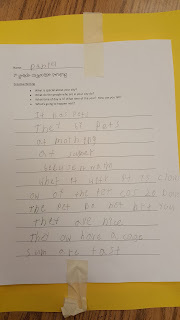 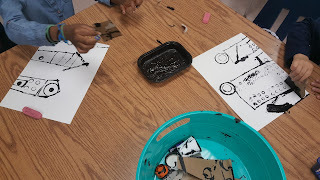 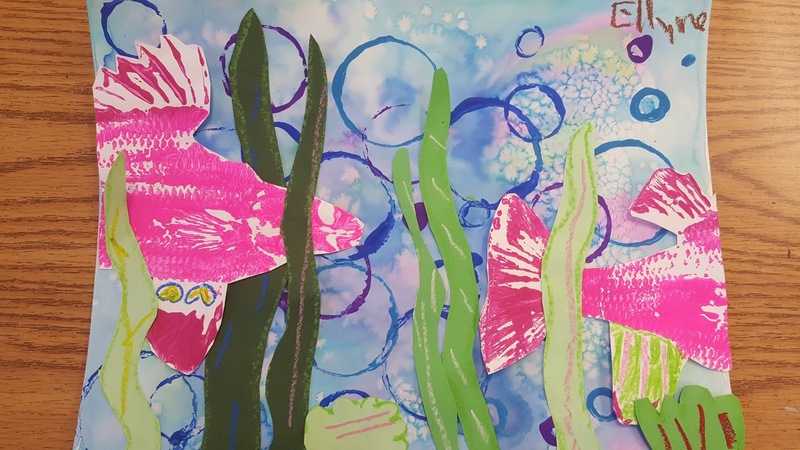 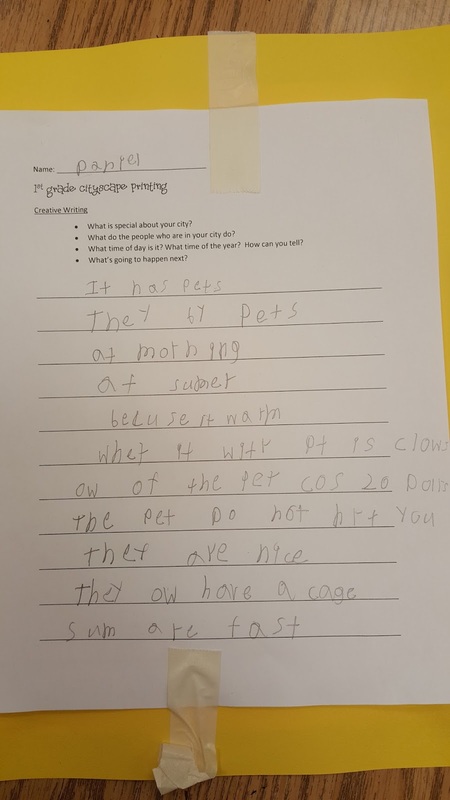 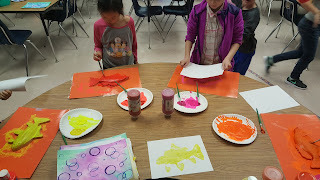 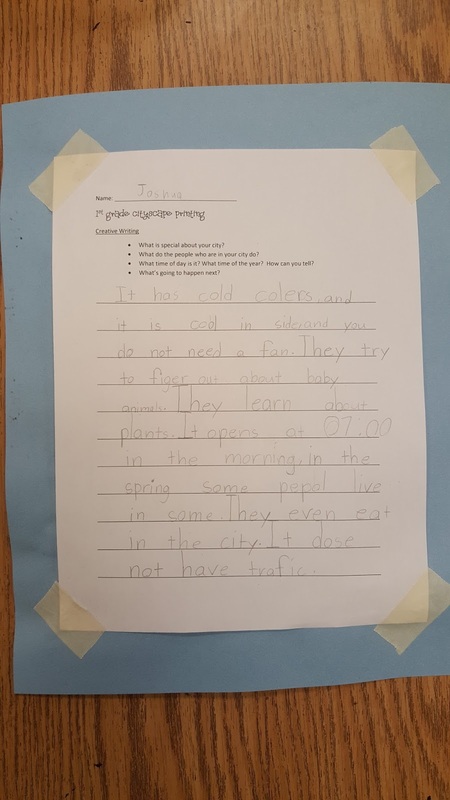 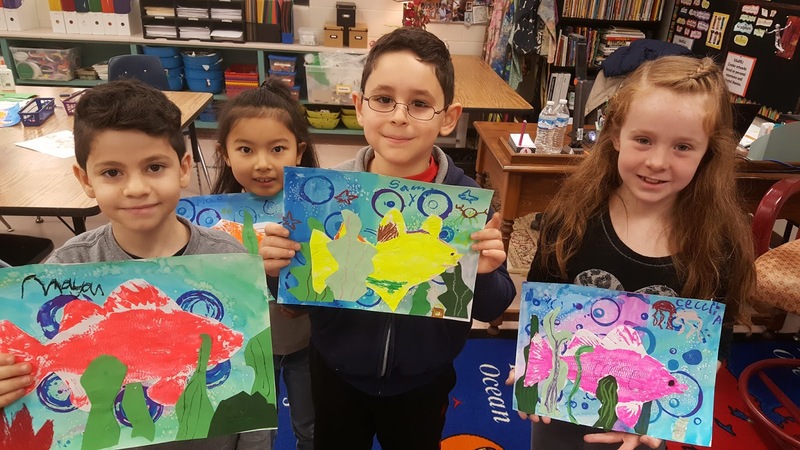 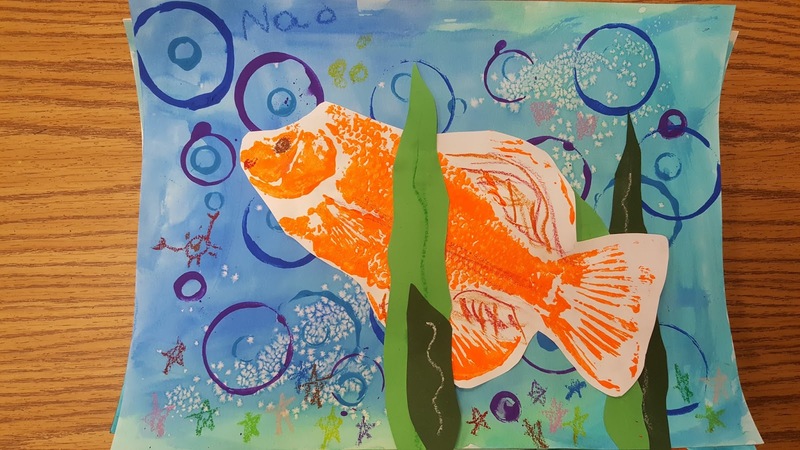 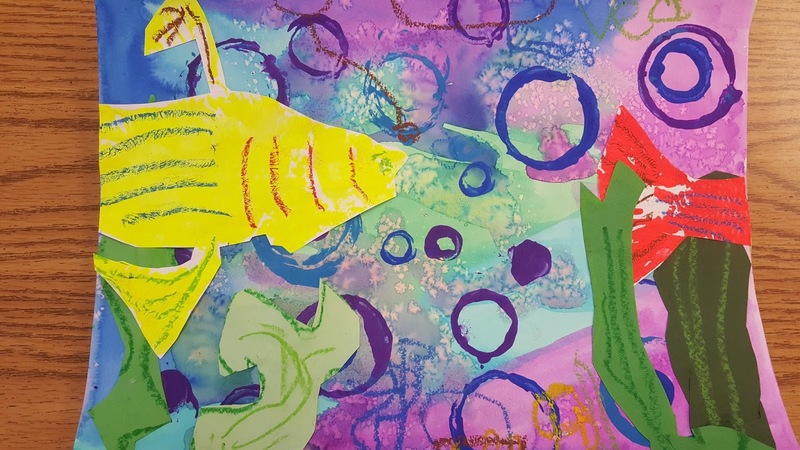 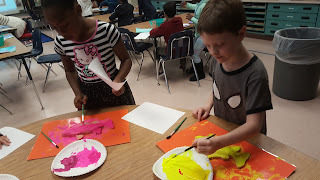 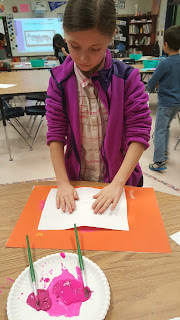 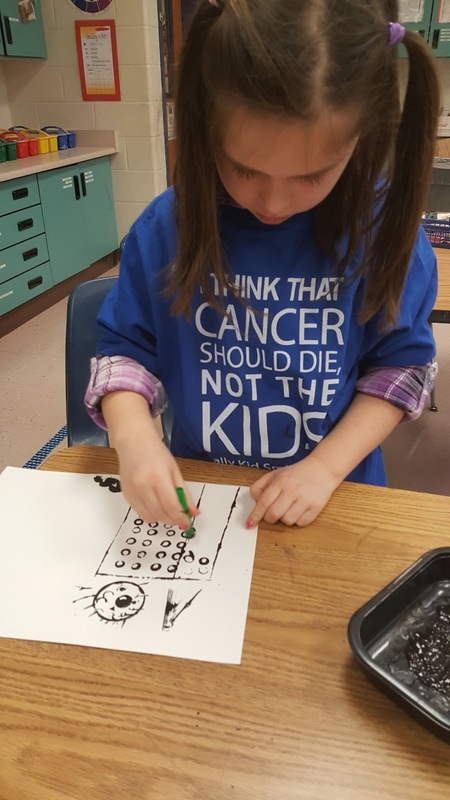 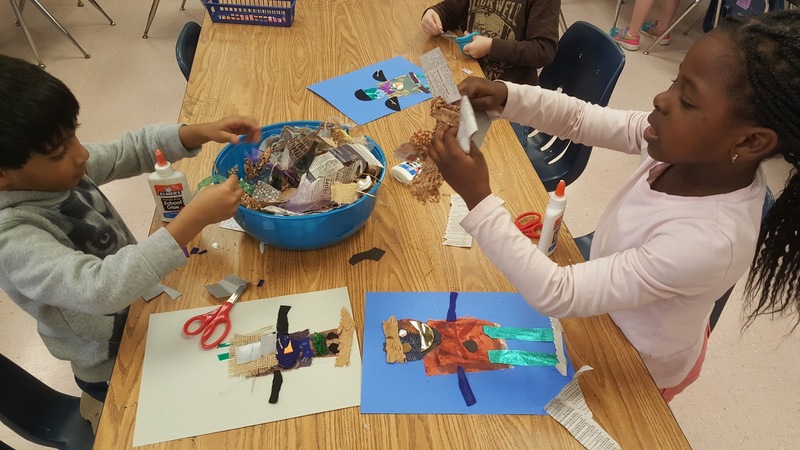 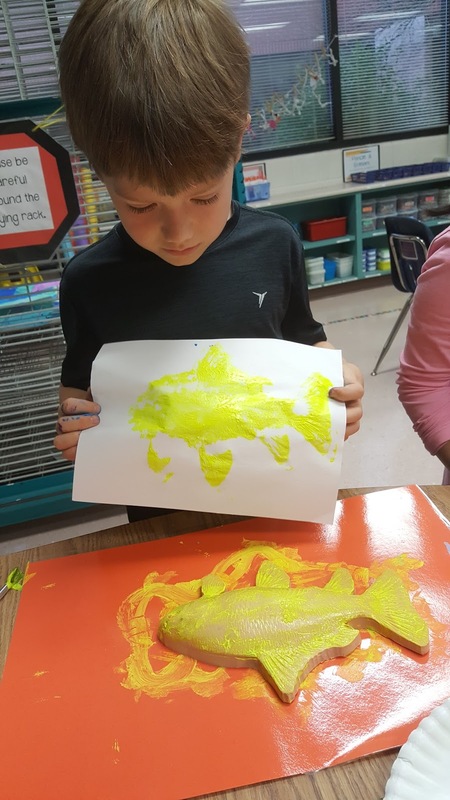 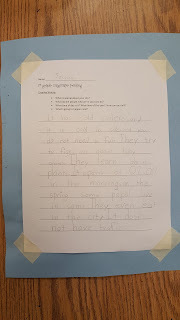 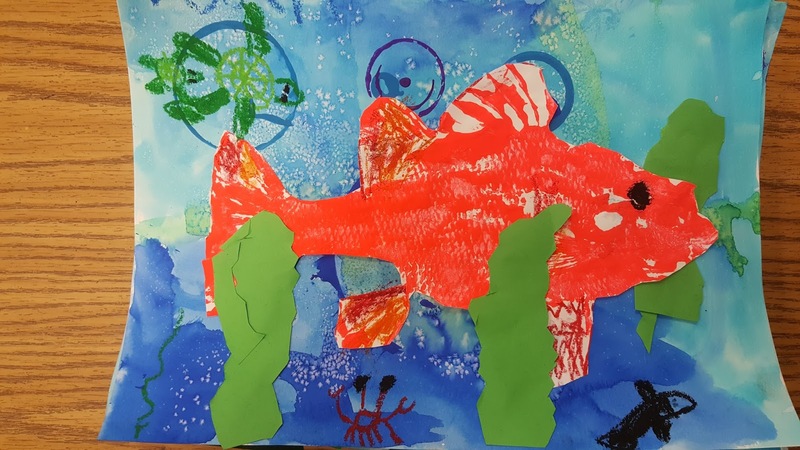 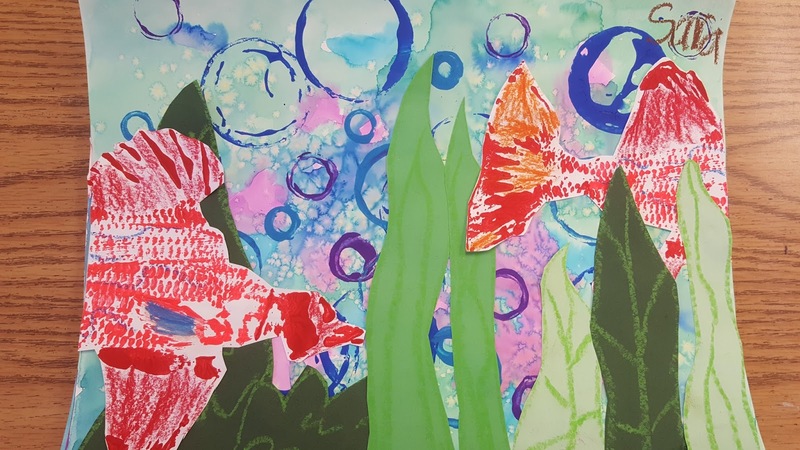 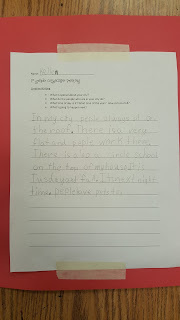 The second graders learned about the reason, purpose, technique and history of Gyotaku printing. Here's this year's version. 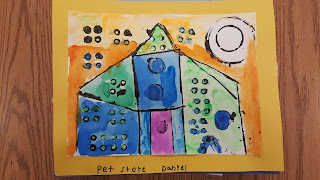 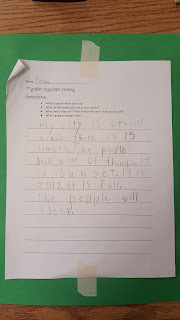 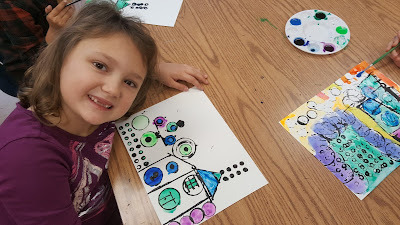 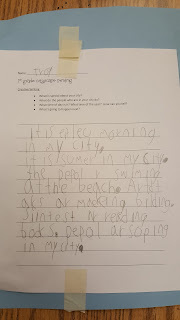 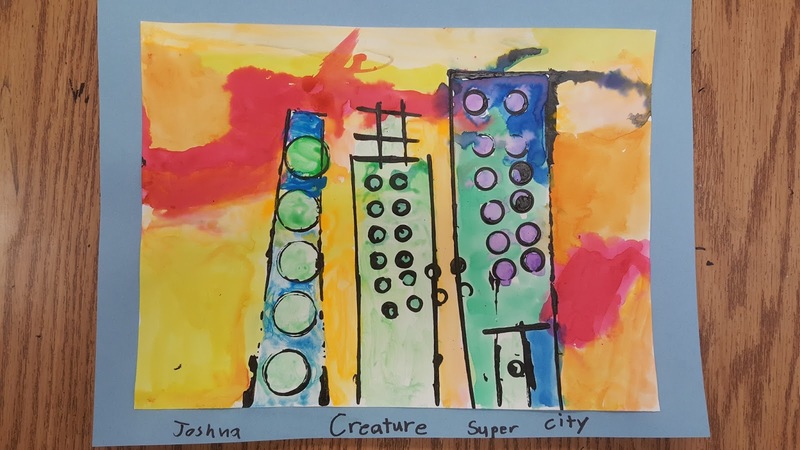 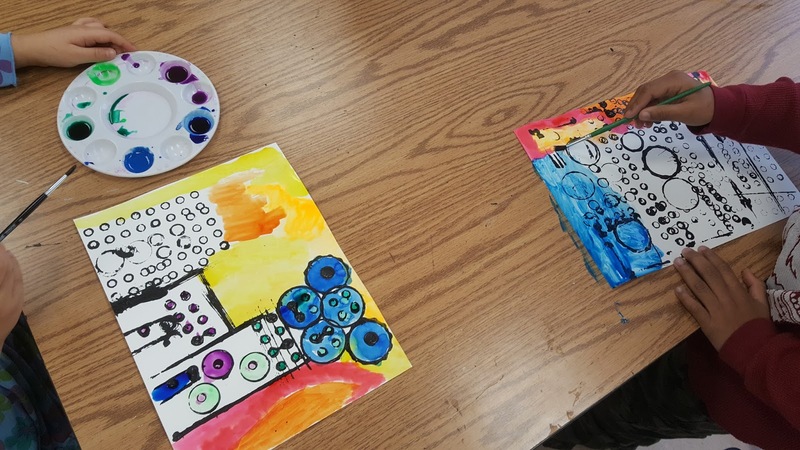 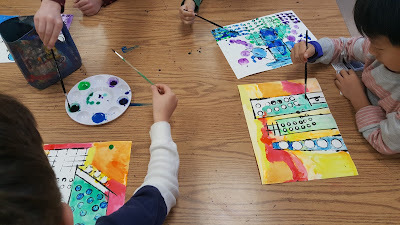 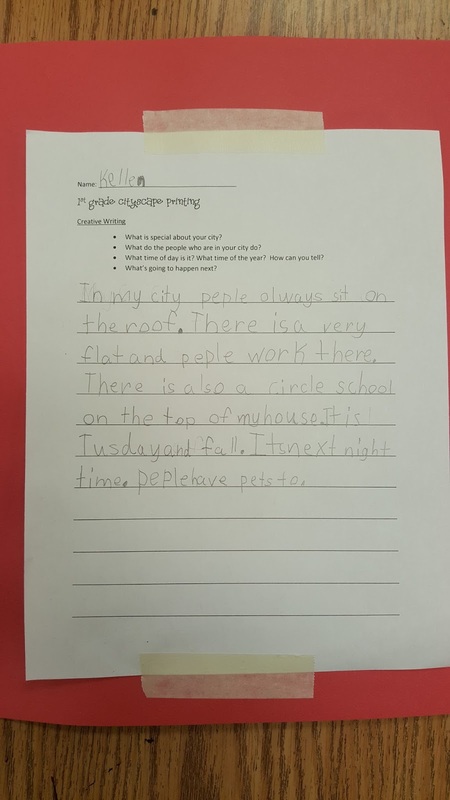 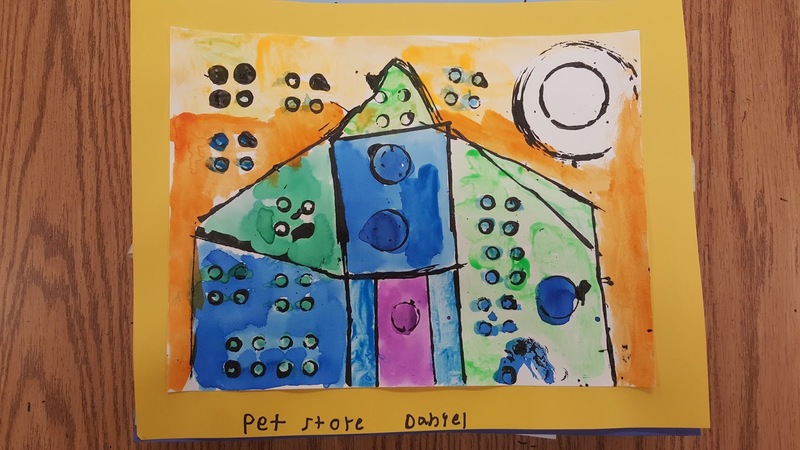 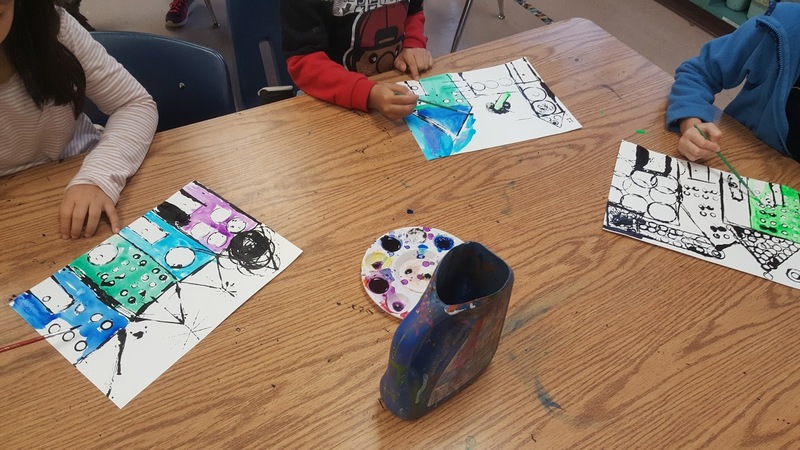 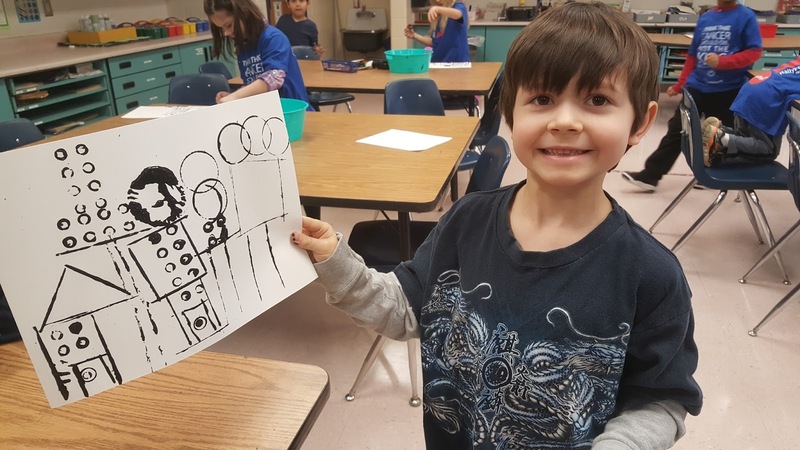 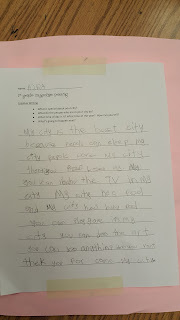 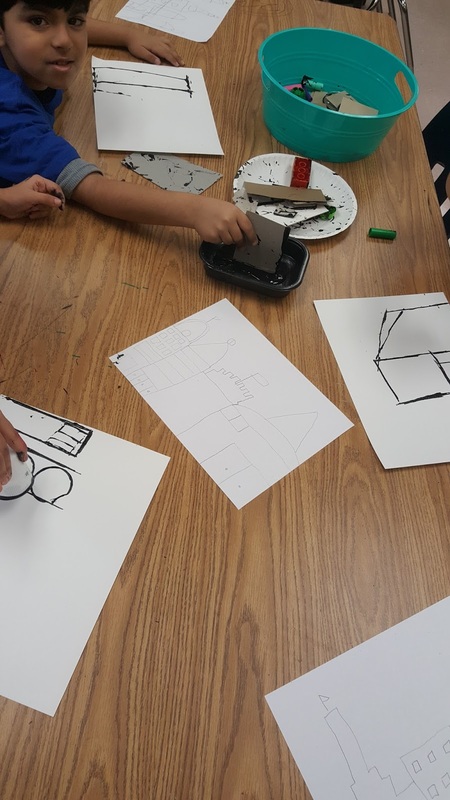 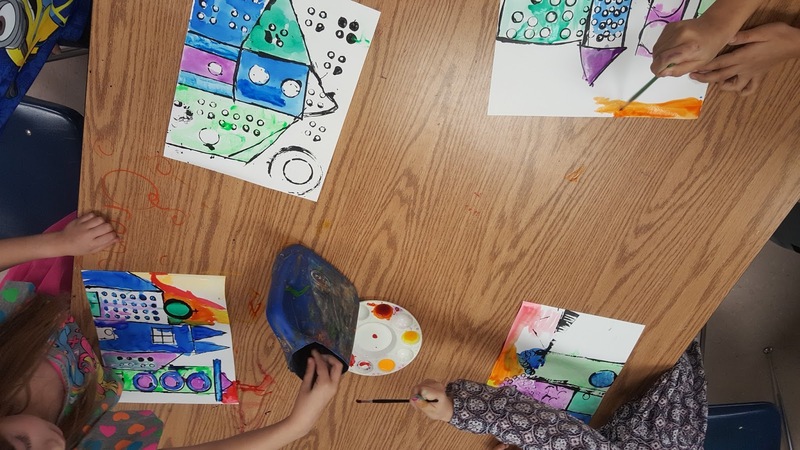 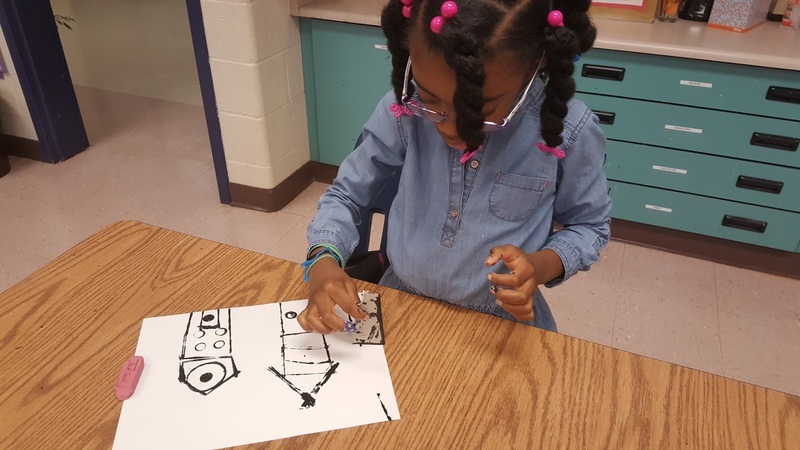 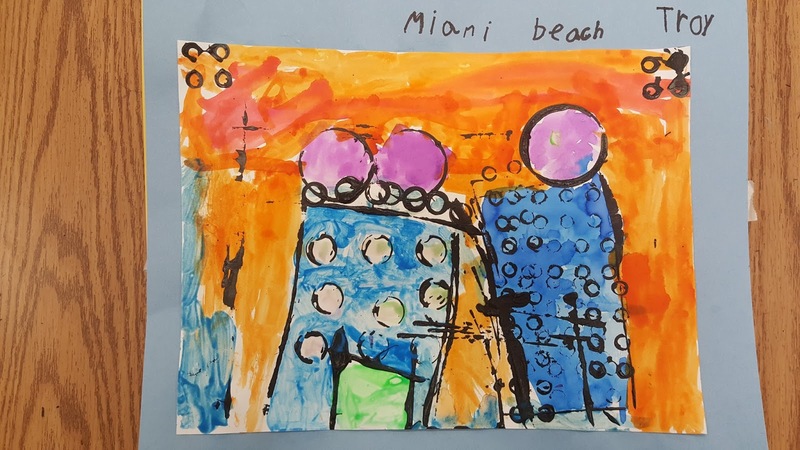 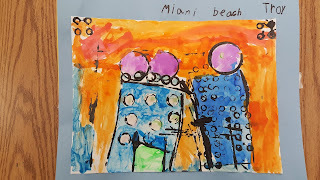 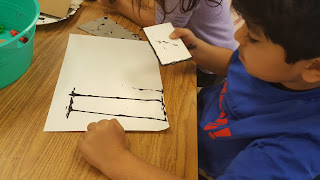 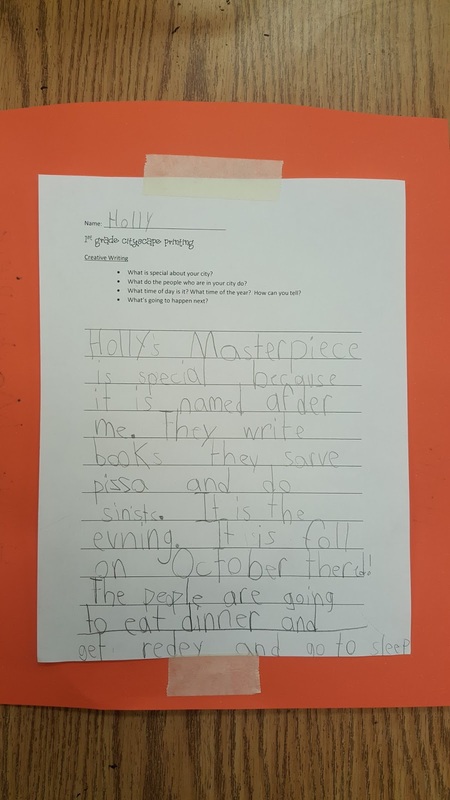 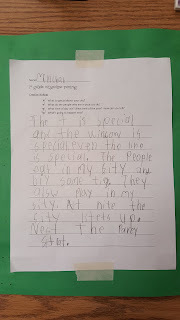 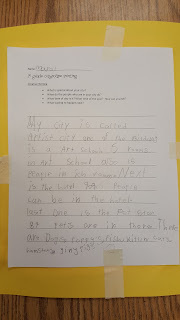 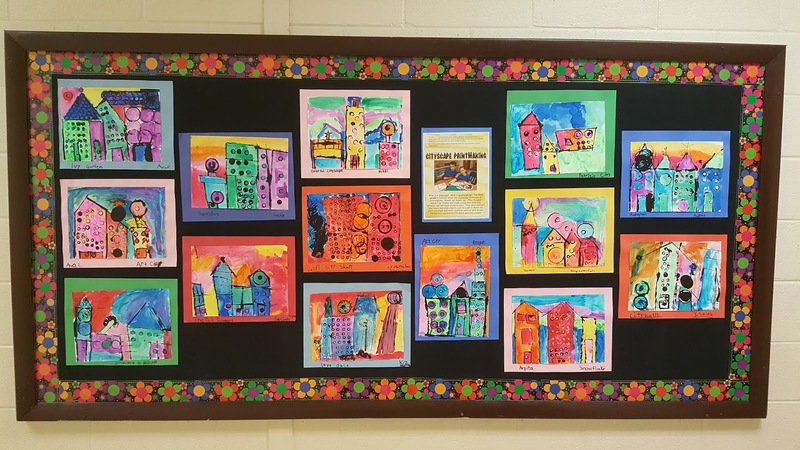 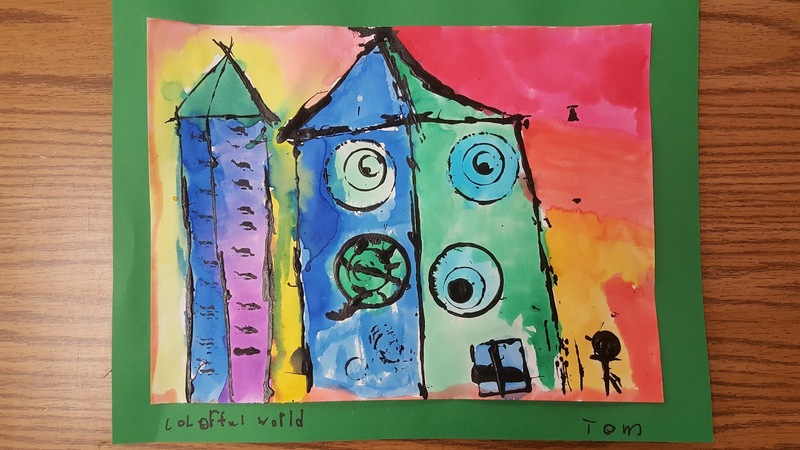 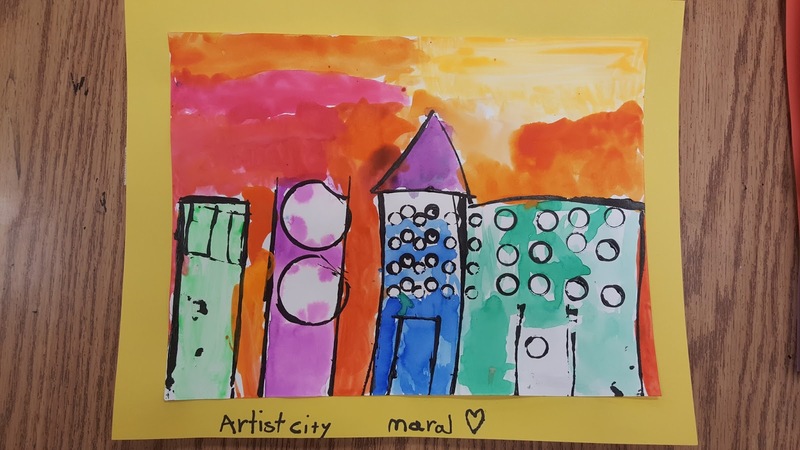 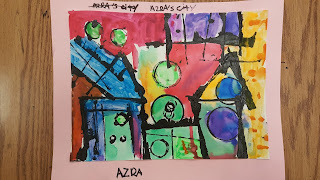 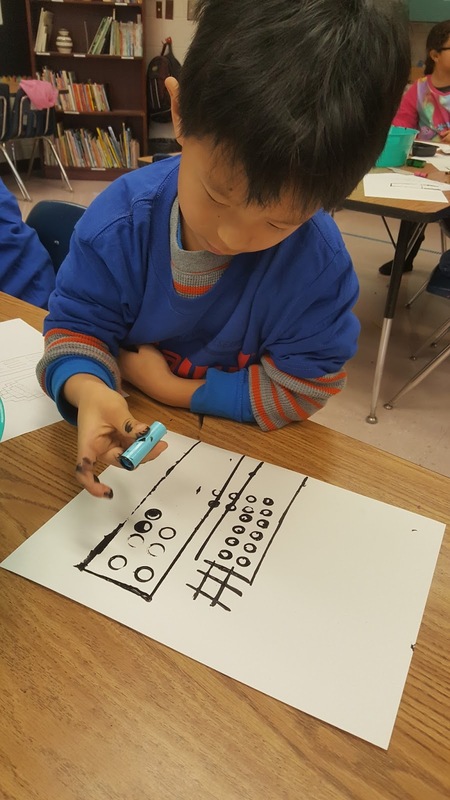 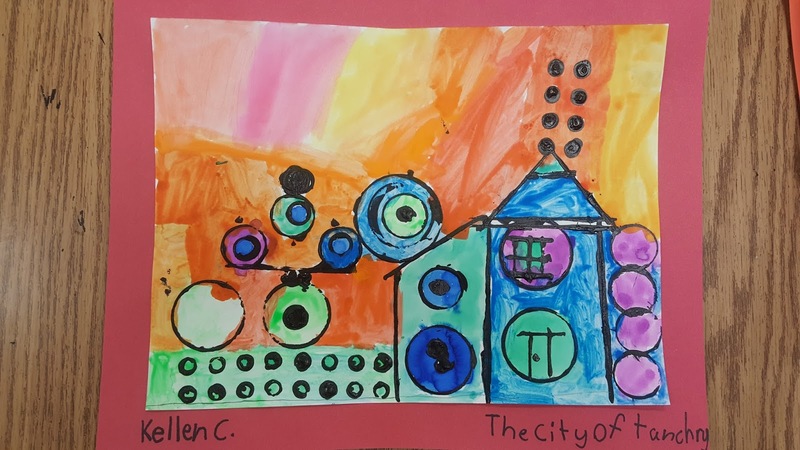 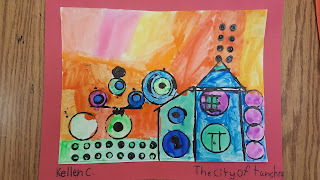 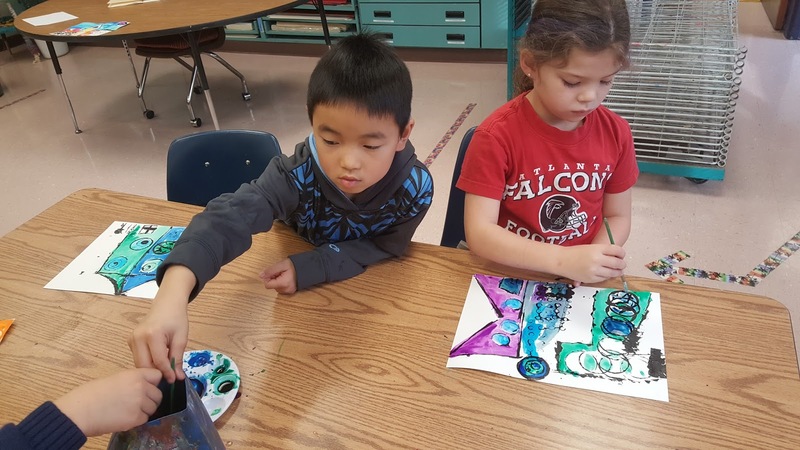 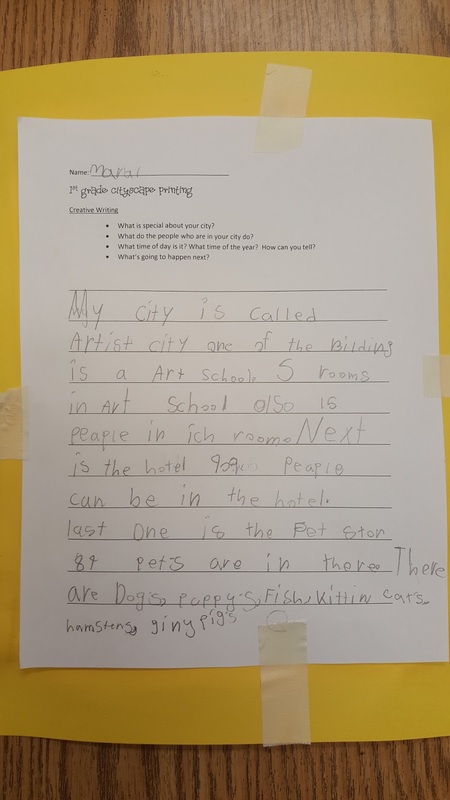 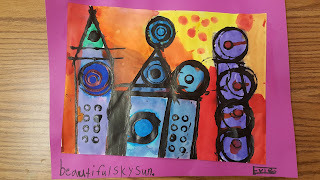 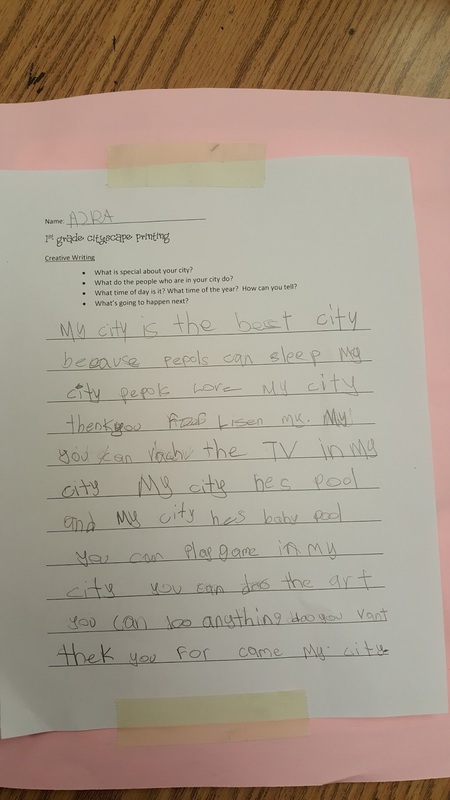 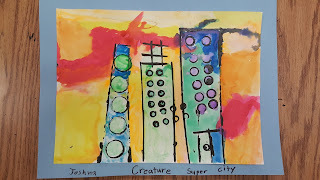 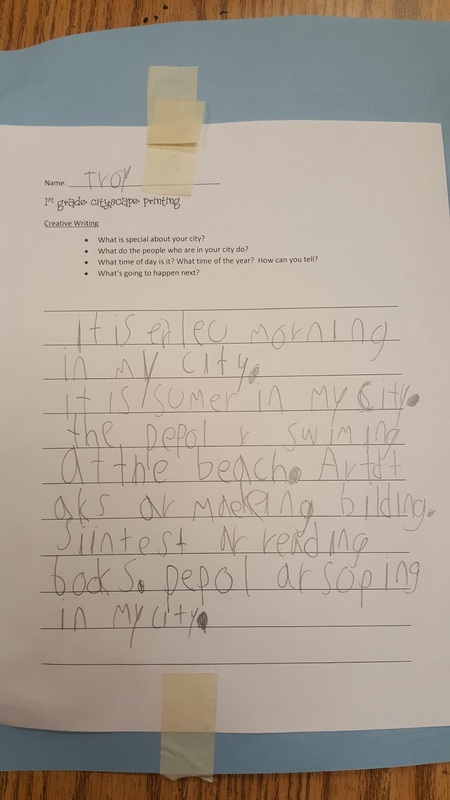 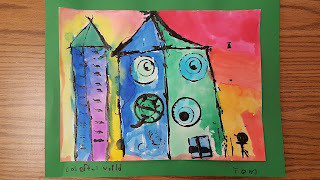 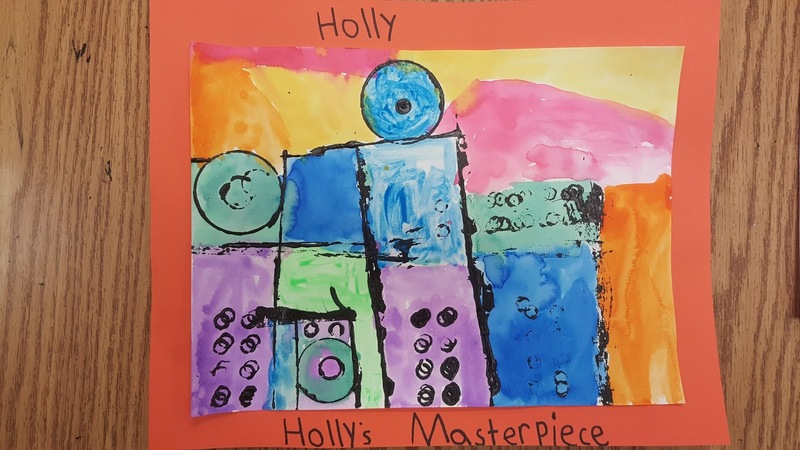 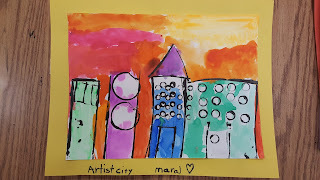 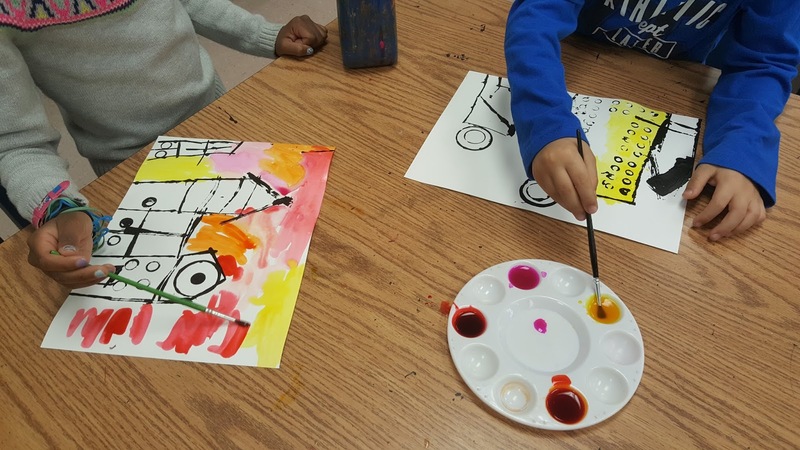 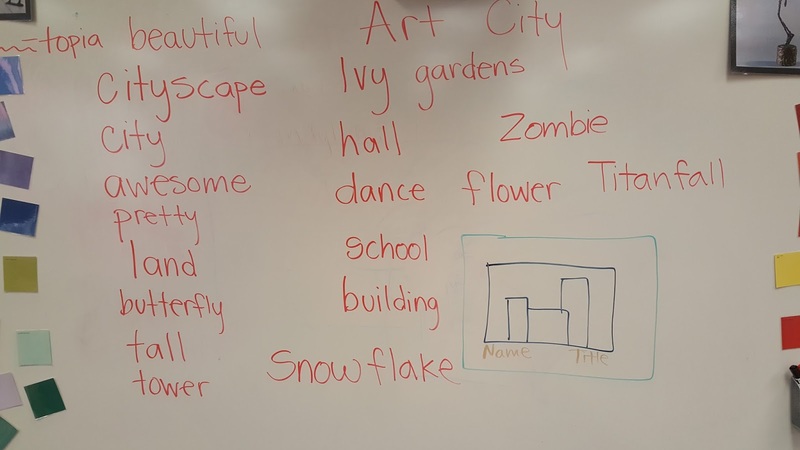 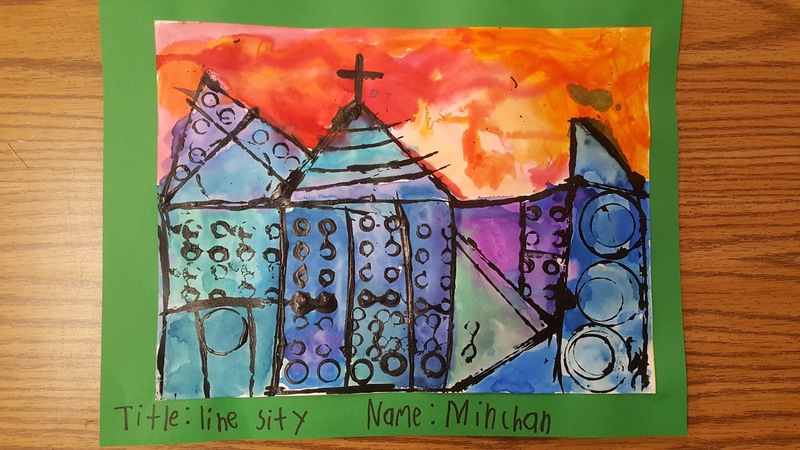 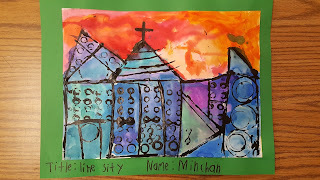 First graders create cityscapes using the stamping technique. 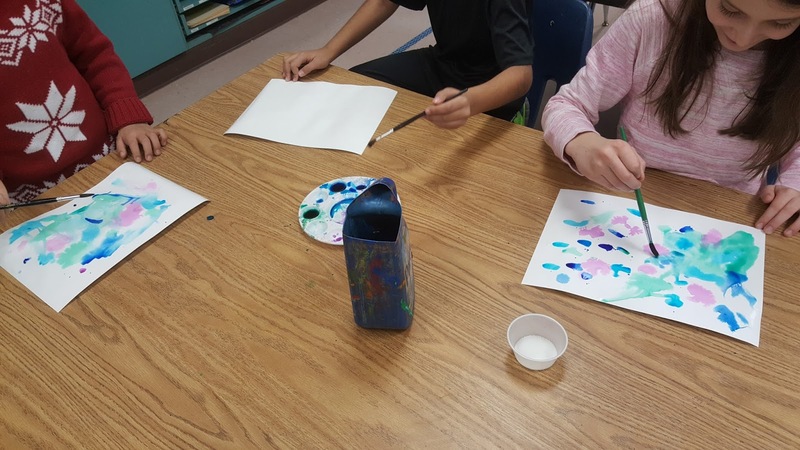 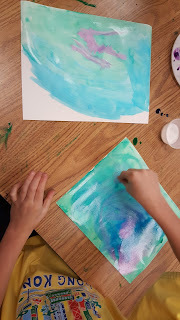 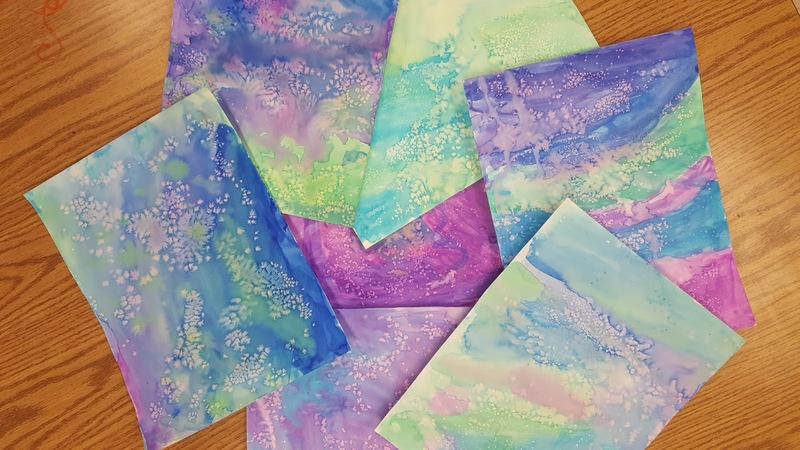 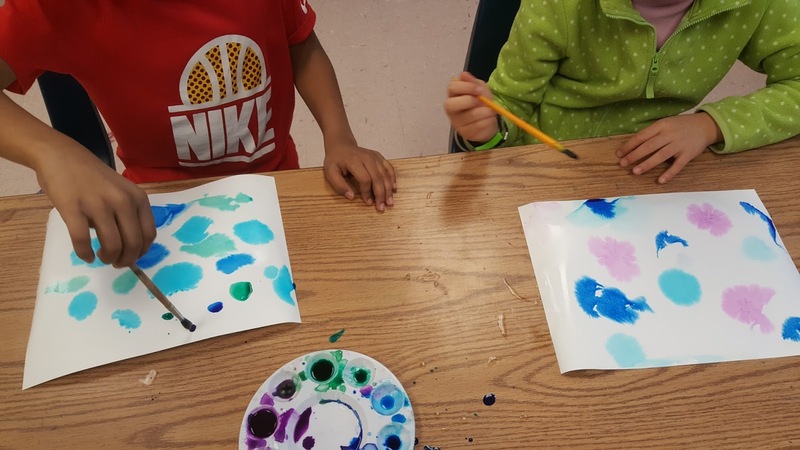 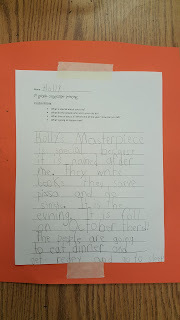 Then, they used warm or cool color liquid watercolors to add color. 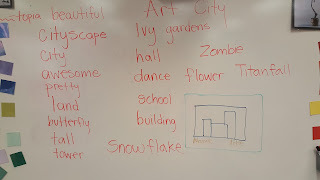 I love the titles of their cities!